Alessi Cheese Please Cheese Grater (ALCHZPLZ) at Pure Design / Accessories / Kitchen ::: Furniture for the Home, Office, Home Office, and More at Pure Design Online! 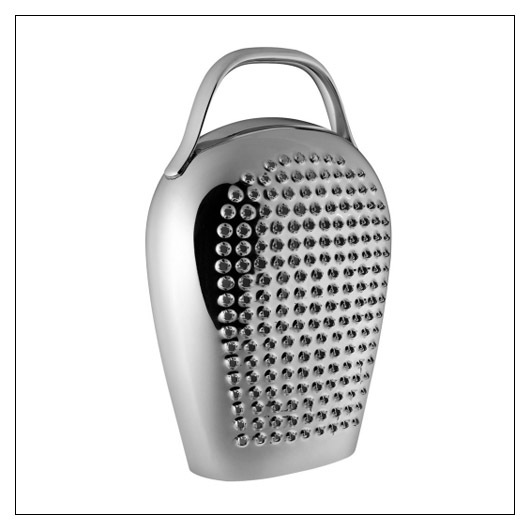 Alessi's Cheese Please Cheese Grater is uniquely designed to look just like a cowbell. With circular holes surrounded by tiny teeth that tear at the cheese, the contoured grating surface is perfect for Parmesan and other hard cheeses.